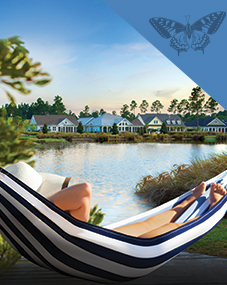 Celebrating two years in April, Swell Vision Center is located in the heart of The Villages at Brunswick Forest. 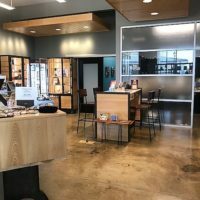 An independent, full-service optometry practice, Swell Vision has created a unique, innovative and inviting space that feels more like you’re walking into a day spa rather than an eye care center. 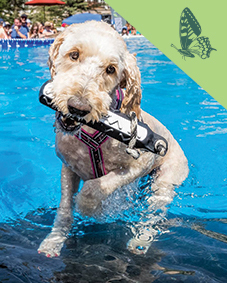 Upon entering the office, patients are greeted by Dr. Scibal’s dog, Horatio, who’s smiling face and wagging tail is sure to put an instant smile on your face. 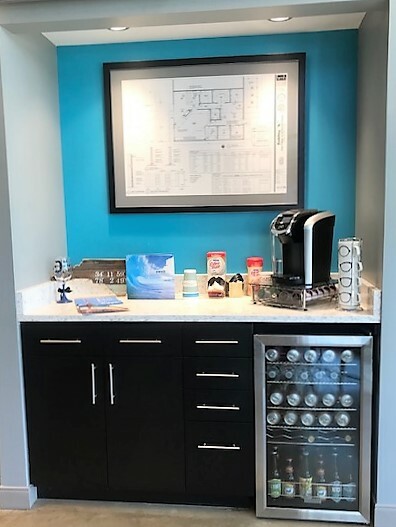 Once inside, the receptionist will help to check you in and offer you a complimentary refreshment (including beer and wine) that makes you feel right at home. 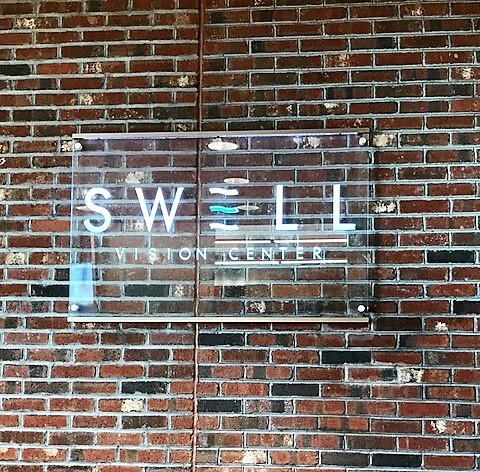 With an inviting atmosphere and staff that understand the importance of eye health, Swell Vision is setting the new standard for eye care centers. 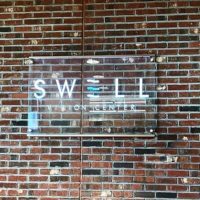 As the Owner and Optometrist at Swell Vision, Craig Scibal modeled the clinic after exactly what he’d want when he goes into a doctor’s office. 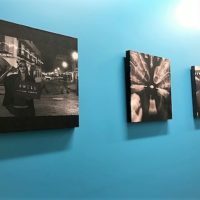 Featuring an industrial modern design, the space is sophisticated, tasteful and elegant while still creating an inviting and comfortable atmosphere for patients. 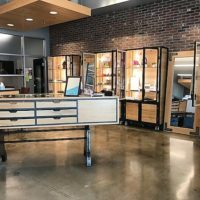 Winning the 2017 Office Design Contest by the Review of Optometry, Swell Vision Center continues to gain recognition for their innovative design, state-of-the-art equipment and extensive selection of eyewear in their optical showroom. 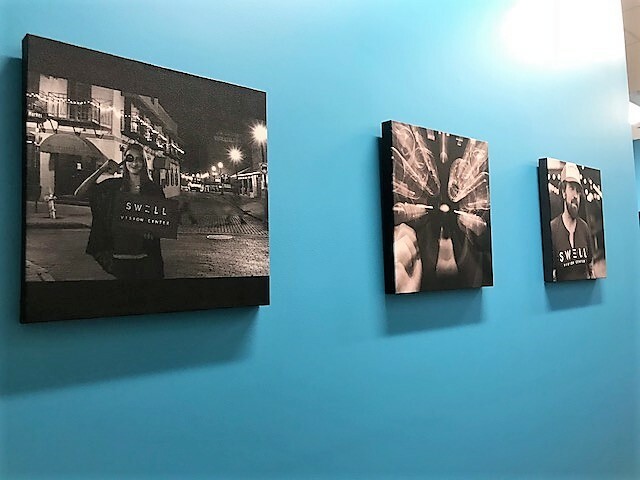 Passionate about supporting the local community, Dr. Scibal selected locally sourced artwork and furniture to display throughout the office. 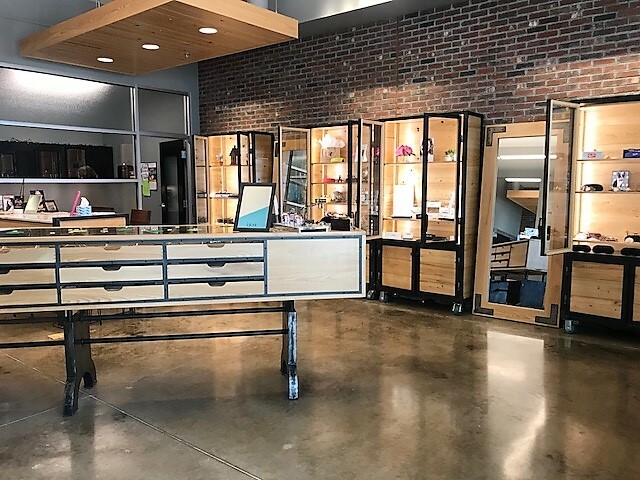 The optical showroom features local and custom-made cabinets that are filled with various styles and lines of eyewear. 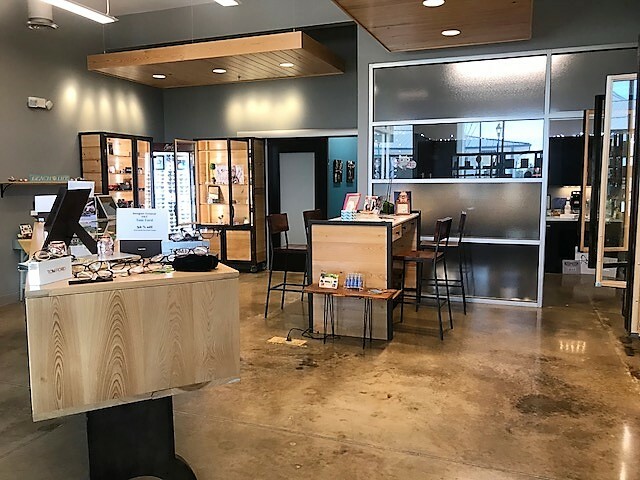 With a focus on independent frame line’s, Dr. Scibal offers a unique, extensive and high-quality selection of frames to choose from with the patient in mind. 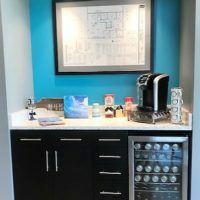 Barn door features can also be found throughout the office and help to partition off different areas of the space to increase privacy and compartmentalize each room, as needed. Swell Vision will be hosting their newest eyewear line, MOSCOT, on April 19th from 2-7pm. MOSCOT is a New York City Institution renowned worldwide for its iconic eyewear. Their rep will be showcasing their innovative yet timeless designs and transforming the office into a MOSCOT themed space for the duration of the event. Beer, wine and food will also be available.